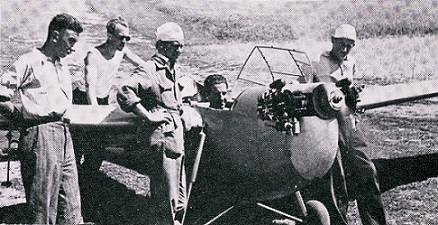 Tested on the factory roof during october 1934, it was soon fitted on the first belgian HM-14 Pou du Ciel built especially for Saroléa by Mr Pregaldien. The first test flight happened unexpectedly on 22 august 1935. Soon after, it was also tested on the Tipsy S, the BAC Drone and the Saint-Hubert SBO. Tipsy 2S powered by Sarolea "Epervier"
A more powerful version of 32cv with a bore of 88mm and a capacity of 1100cc was called « Vautour ». 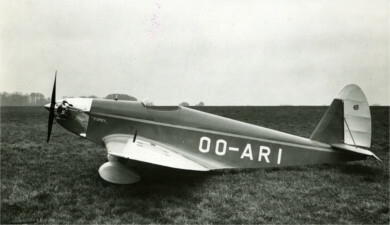 A third model with the same power of 32cv but more streamlined thanks the new position of the magnetos behind the engine was called « Albatros ». Many were produced late thirties to be fitted on the Tipsy S2, the polish BAK II and many french amateur aircrafts.